After selling 93,000 units which generated $5.4 billion in revenue, Johnson and Johnson’s artificial joint replacement company DePuy Orthopaedics, Inc. has issued a recall of the ASR Hip Resurfacing System and the ASR XL Acetabular System because of higher failure rates that necessitated second surgeries. These devices were originally promoted as a breakthrough in design that would last longer and allow more natural movement. What are the signs and symptoms of failure? DePuy recalled these two hip replacement products after research revealed that with in five years, one in eight DePuy implant recipients, needed a revision surgery. DePuy’s ASR Hip Resurfacing System and ASR XL Acetabular System has a failure rate that is twice the normal rate for comparable products. August 26, 2010 DePuy announced its recall of its ASR XL Acetabular system and its ASR resurfacing system due to high failure rate. 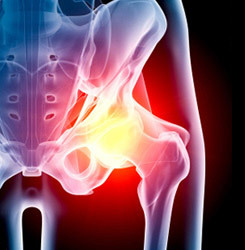 It is estimated that 93,000 of these hip implants have been implanted worldwide. According to a New York Times article the company ignored early warnings from surgeons and hid negative information about the implants. The 2008 Australian registry documented high failure rates. These devices were recalled from the Australian market in December 2009, according to the New York Times. If you’ve had a hip implant since 2003 you may be subject to the hip replacement recall. Adequate testing of the device would have revealed defects and saved the patients the expense, pain and suffering of a second surgery or revision surgery. This replacement surgery is called revision surgery. Usually, revision surgeries are technically more difficult, may take longer and the recovery is more prolonged. DePuy has recommended that patients with an ASR hip device see their surgeons for an evaluation, even if the hip implant doesn’t seem to be causing problems. The orthopaedic surgeon may perform the following tests: X-Rays of your hip, physical reaction test, as well as blood test to indicate the level of microscopic metal particles that are in your blood stream and around your hip. These metal particles could cause serious health problems. What should I do if I feel I have a faulty device? 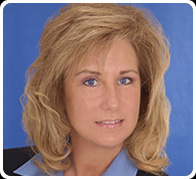 Depuy ASR Implant patients are urged to Register with the National Hip Recall Registry. With approximately 100,000 Depuy hip replacement patients at risk and now subject to a recall of their Depuy ASR hip replacements, a voluntary and independent database was created of hip replacement patients. This database fosters communication and publicizes information concerning health-related issues and news detailing all hip warnings and recalls that may affect these hip implant patients. 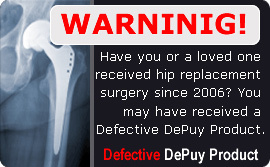 This Registry is urging all Depuy ASR Hip replacment patients to register online. The over one million individuals who received a hip implant in the last five years are being urged to register with the National Hip Recall Registry. The launch of this National Registry, expedited as the National outcry grows concerning the lack of a central database to reach the 93,000 patients who received the Depuy ASR Hip implant and are at risk. Depuy did not maintain a list of patients who received their ASR Hip implant and therefore cannot warn the hip implant recipient directly. Therefore, if you have received a hip replacement, it is up to you to check with your doctor or hospital where the surgery was performed to determine if you have a DePuy implant. Hip replacement surgery is among the most painful and disruptive surgeries an individual may have to endure. One is enough, let alone having to go through the procedure twice just because theWhen a medical device like DePuy’s ASR XL Acetabular System fails, the impact on an individual’s life can be catastrophic. Given the number of DePuy’s hip implant systems recalled, there are likely thousands of individuals across the United States who may unknowingly need revision surgery, even if they are currently asymptomatic. Although the company announced it will reimburse "reasonable medical expenses" to patients who sign releases allowing DePuy total access to their private medical records, the "offer" may be misleading. DePuy has stated that before they will reimburse expenses, they will review the patient’s medical records to ascertain if the patient meets DePuy’s criteria for payment. According to DePuy, the medical records must confirm that the problem is related to the DePuy hip implant recall and not caused by something else, such as a fall. Blaming the device failure on a fall, or another cause, such as physician error, patient misuse, pre-existing condition or underlying diseases is a typical litigation defense in these types of medical device cases. When a patient releases their medical records to DePuy they may be doing nothing but providing DePuy with a jump start on litigation defenses.